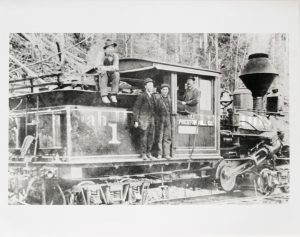 Representatives of the Preston Mill Co. pose with their Climax locomotive, which was purchased from the Doty Lumber and Shingle Co. in Doty, Wash. Elof Edwins, part owner of the Preston Mill Co., is shown standing closest to the No. 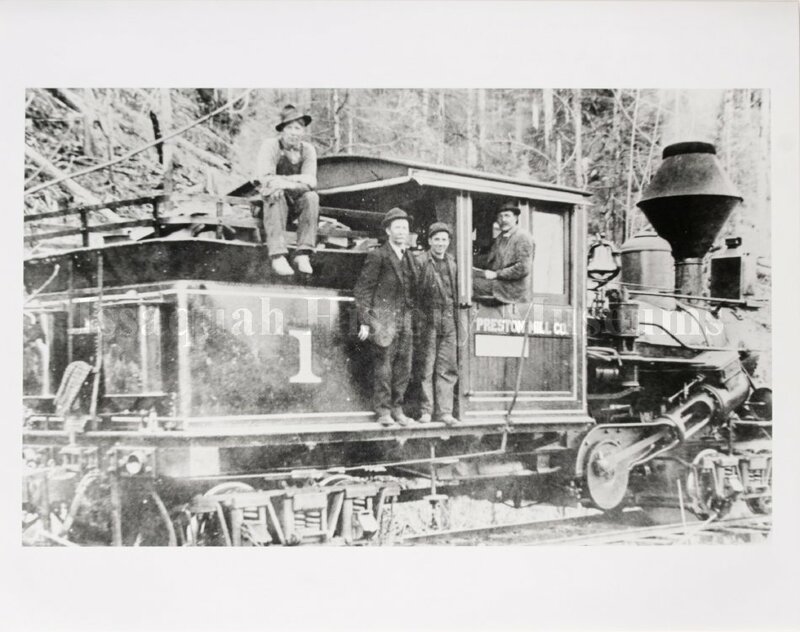 1 on the newly repainted locomotive in this 1921 photo. The mill’s railroad will be extended several miles up the Raging River valley until it shuts down in 1930.